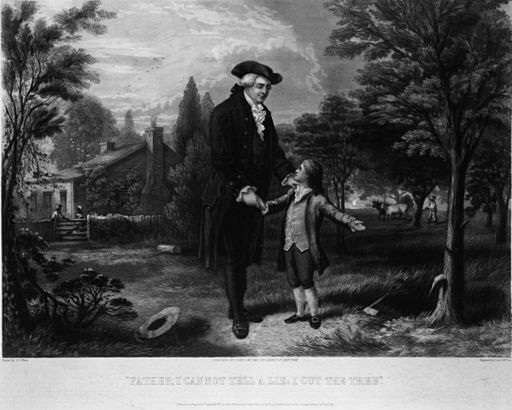 Ironically, this well-known story about George Washington's honesty admitting to cutting down his father's cherry tree was not truthful, invented by one of his first biographers, Mason Locke Weems. The story remains a part of American lore, even though it was debunked. Enjoy reading some of George Washington's (true) writings and speeches. Add George Washington and His Hatchet to your own personal library.